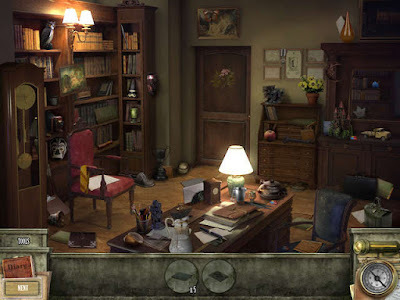 Shutter Island is a hidden object detective game. A stylish thriller full of suspense and danger! Based on the recently released feature film. U.S. Marshal Teddy Daniels and his partner have come to Shutter Island, home of Ashecliffe Hospital for the Criminally Insane, to investigate the disappearance of a patient. As a killer hurricane bears down, the case takes a sinister turn; the closer they get to the truth, the more elusive it becomes, and the more they fear that someone doesn't want them to leave. Take the role of Teddy Daniels in this gripping investigation. Find clues to locate the missing patient and recover those escaped during the hurricane. Uncover cryptic codes leading to evidence of radical approaches to psychiatry and questionable medical practices. Search for usable tools, solve tricky puzzles and try to distinguish between what is, and what isn't, before you lose your own mind! 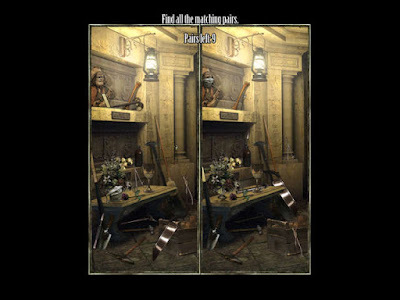 Experience the suspense of the movie in this twisted Hidden Object game. Take on the role of U.S. Marshal Teddy Daniels. Locate the missing murderess and recover other escaped patients. Unfold a sinister plot of questionable medical practices. Escape Shutter Island before you lose your own mind!